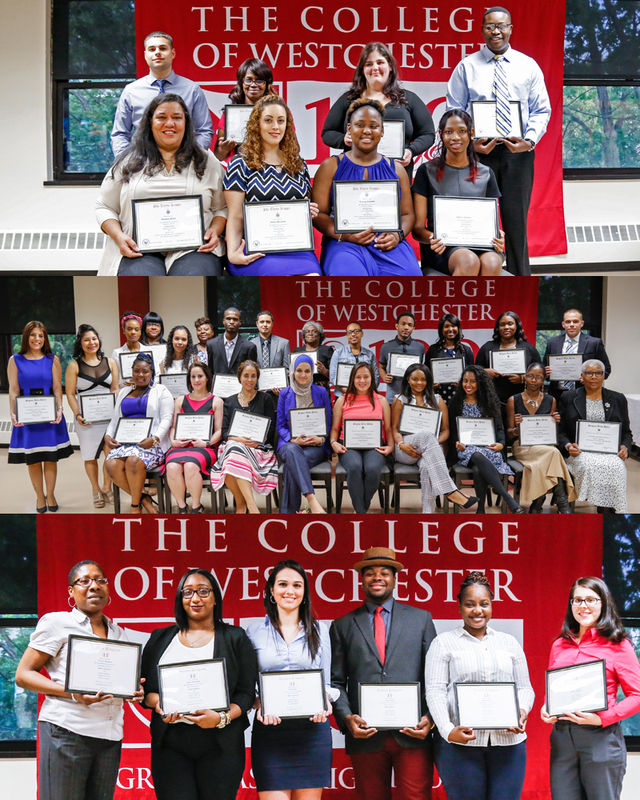 The College of Westchester celebrated its 100th Commencement Ceremony. 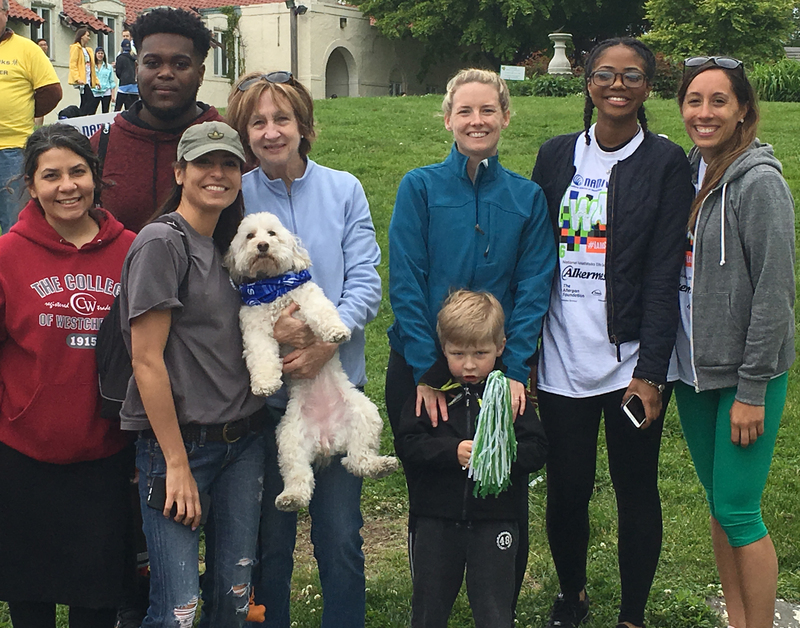 On Saturday, May 21st, The College of Westchester walked to support our local NAMI chapter (National Alliance on Mental Illness). The CW team joined over 500 people and is proud to be able to raise awareness for NAMI, whose mission is advocating for access to services, treatment, support, research, and continual raising awareness on mental illness. CW honored and inducted 19 students from Phi Theta Kappa, 28 students from Sigma Beta Delta, and 10 students from the CW BBA Honors Program, during the recent Honors Ceremony. Opening remarks included Dr. Warren Rosenberg, Provost and Vice President of Academic Affairs, and Mary Beth Del Balzo, President and CEO of The College of Westchester. Westchester Community College and The College of Westchester have collaborated on a new pathway to bachelor’s degree studies. An articulation between the two colleges was announced at a press conference on the Valhalla campus of Westchester Community College on Thursday, May 12. The College of Westchester Faculty Participate as Judges for the Tri County Science and Technology Fair. 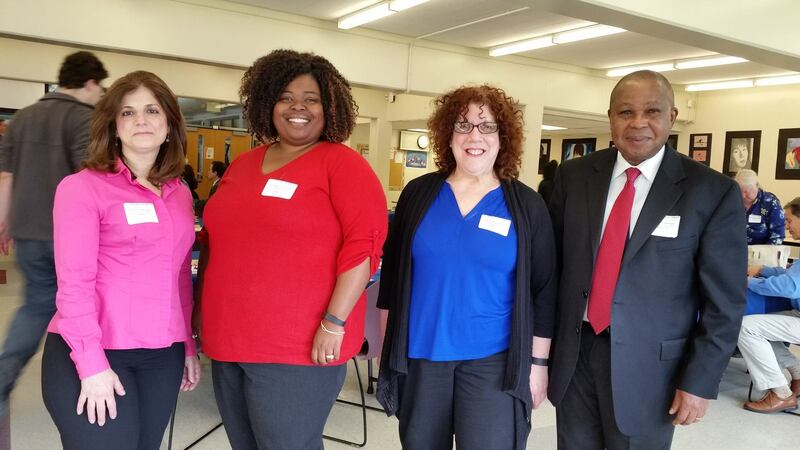 CW faculty members, Dr. Grace Bonanno, Paula Cancro, Dr. Daishia Howard, Dr. Chris Nwosisi and Dr. Shamva Wright-Shingler served as judges at the Westchester, Putnam and Rockland Tri County Science and Technology Fair organized by The Putnam Children’s Discovery Center, Inc. (PCDC), a volunteer organization.